From educational shows, workshops, full-fledged evening performances or any combination of the aforementioned, Soul Street can bring it to you with an excellence that will leave you speaking of nothing else for days! See for yourself at the NBA All-Star Games or some of the most prestigious theatre venues in Europe. Soul Street has the goods and always lavishly shares them! Javier Garcia – Co-founder/Director: Known for his creative b-boyin’ tricks, power moves and blowups, Javier also portrays a witty comedic side on and off the stage. He has more than 10 years of performance experience and has toured extensively throughout the U.S. and many other countries. He has performed at some of the most prestigious theatres and festivals worldwide with some of Hip Hop’s biggest musical acts. Last but certainly not least, he has been Captain of the Launch Crew for the NBA’s Houston Rockets for the last 8 years. 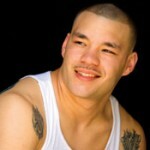 Rock Williams – Co-founder: Rock is an outstanding dancer and a highly energetic performer with 24 years of experience. Through poppin’ n’ lockin’ and house footwork he can make you believe that you are seeing impossible things. He has also traveled across the U.S. and Europe as a principal dancer. 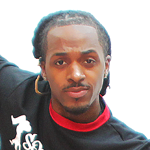 Cedric D. Hicks – aka “Ced”: At age 22, Ced is the youngest and newest member of Soul Street Dance. He has appeared with The Houston Rockets Launch Crew, Houston Comets, Southern University Dance Company and has danced as a featured guest with local artist Paris House and numerous hip-hop teams. 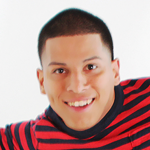 Roy Ramirez: is a well-rounded b-boy, with skills including power moves, blowups, footwork, uprock and toprock. He has won Red Bull battles in Houston and throughout Texas. 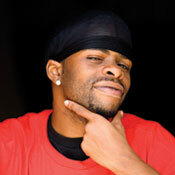 He is also a member of United B-Boys and dances for the Houston Rockets.